A good quiver is something that every archer simply has to have. 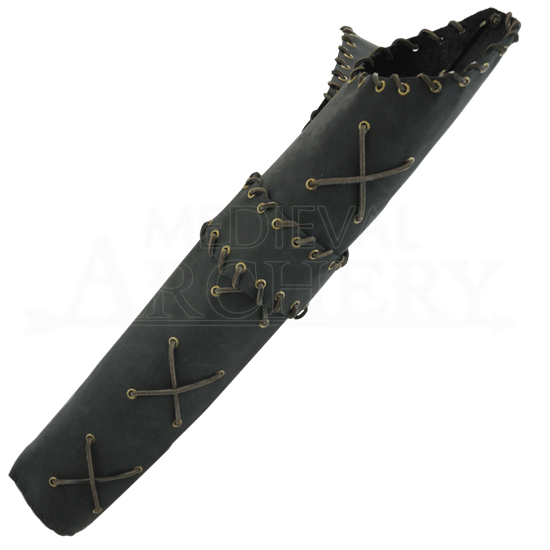 Belts, swords, axes, and other accessories are all somewhat optional, but a good quiver, like this Leather Laced Shoulder Quiver, holds an archers arrows, which are his primary defense. This quiver is crafted from high-quality leather and features leather lacing all around its surface, including crossed laces along the quivers length as decoration, as well as a laced leather band that secures the quiver to its shoulder strap. The mouth of the quiver is distinctively flared at one side while shallow along the other, allowing for a quick and easy arrow draw over the shoulder. The quiver is worn on the shoulder via a thick leather strap, also touched with decoratively laced edges, that hangs over the right shoulder and wraps around to offer more support on the left waist. Hanging down from the center of the quivers strap is an adjustable leather buckle that ends with a loop. The quiver is available in only one size, although it does come in either black or brown. 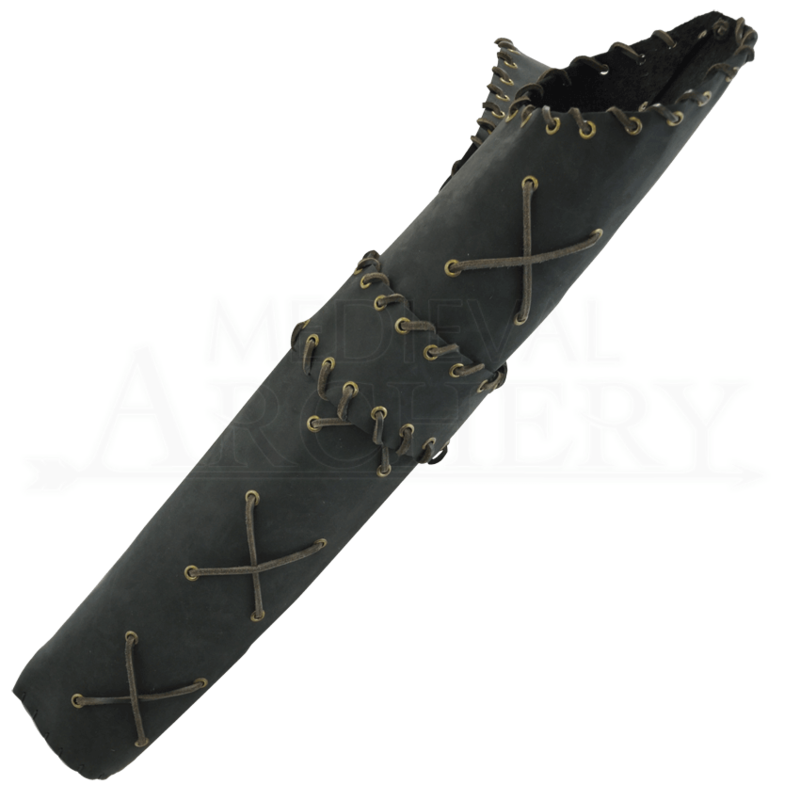 This Leather Laced Shoulder Quiver is perfect for holding LARP arrows, blunted arrows, practice arrows, and even real arrows for any event that an intrepid archer might find themselves participating in.